Madoff's attorney is suggesting a sentence that some New Yorkers might not agree with. Bernard Madoff's lawyer has told the judge scheduled to sentence the disgraced financier next week that 12 years in prison will be sufficient punishment for the man who swindled tens of billions of investors' dollars in one of history's biggest frauds. Attorney Ira Sorkin also said in court papers made public Tuesday that his 71-year-old client "will speak to the shame he has felt and to the pain he has caused" when U.S. District Judge Denny Chin sentences him on Monday. "We seek neither mercy nor sympathy," Sorkin wrote. But he urged Chin to "set aside the emotion and hysteria attendant to this case" as he determines the sentence. Madoff faces up to 150 years in prison after pleading guilty on March 12 to 11 felony counts, including securities fraud and perjury. He admitted operating a massive Ponzi scheme for decades. Sorkin said a sentence of a dozen years in prison would acknowledge Madoff's voluntary surrender, full acceptance of responsibility, meaningful cooperation efforts and the nonviolent nature of his crime. Still, the lawyer added that a prison term of 15 to 20 years would not disproportionately punish Madoff compared to sentences given other white-collar criminals. "Indeed, such a range will appropriately eliminate concerns for disparate treatment among similarly situated nonviolent offenders," he wrote. The lawyer included in his submission to the court late Monday an analysis of sentences given to defendants in fraud-related cases between 1999 and 2008 that concluded the average sentence when leniency was not provided was 15.3 years in prison. The analysis covered 42,000 defendants, none of whom received sentences of life in prison. He also noted that Madoff's age would leave him with an average life expectancy of 12.6 more years. In his submission, Sorkin cited dozens of letters from Madoff victims urging Chin to make sure Madoff never gets out of prison. "The significant anger and resentment evidence in the victims' words is no doubt justified in light of the circumstances of this case," Sorkin said. "Thankfully, none of the fury expressed in the victim statements has been as shocking as the death threats and anti-Semitic e-mails that have been directed toward Mr. Madoff and his counsel." Still, he added, the tone of the victim statements "suggests a desire for a type of mob vengeance that, if countenanced here, would negate and render meaningless the role of the court." "We ... recognize that terrible losses have been suffered as a result of Mr. Madoff's conduct, and we have advised Mr. Madoff of their tenor and heart-wrenching stories of loss and deprivation," Sorkin wrote. Madoff was arrested in December after he confessed to his sons that the private investment side of his business was a fraud. 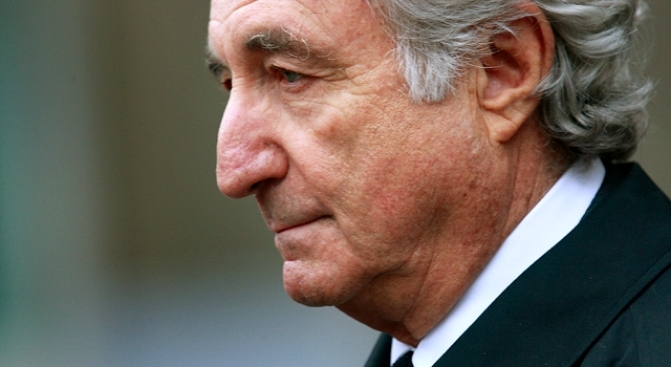 Authorities say Madoff promised investors their accounts were worth as much as $65 billion. In reality, only several hundred million dollars remained. Janice Oh, a spokeswoman for federal prosecutors in Manhattan, said the office had no comment.